Hotel spas, day spas, Toronto has it all. The spa scene is booming in Canada’s largest city, and finally, finally, it’s reached world class wellness status. If you’re looking to relax or rejuvenate, soak in a hot tub or bump up your glitter quotient with some bling-infused beauty treatments, you’ll find it all here. 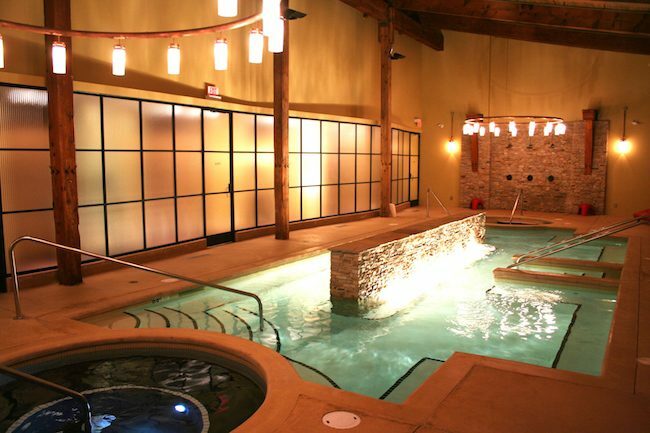 These Toronto spa reviews will give you an overview of some of the top-rated spas. The hard part is choosing between them. If you’re looking for a women’s only spa with great pool facilities, Body Blitz is a longtime favourite in Toronto. While they have spa treatments, the read draw is the pools and sauna facilities. Pool access is included with all treatments or can be purchased on its own. It’s a great place to go and relax and just drift from pool to pool. Body Blitz has two locations, Body Blitz Spa East at 497 King St East, Toronto, and Body Blitz Spa West at 471 Adelaide St West. Spa at the Hazleton Hotel is a tiny gem, where the focus is on high-end treatments rather than lying around and reading a magazine. There is a beautiful pool, but no relaxation area around it. The women’s and men’s change rooms have steam facilities. One thing to love about the Hazelton are the high-end spa treatments using Valmont, a top product line from Switzerland. UPDATE: Stillwater Spa at Park Hyatt Toronto is closed until 2020 – looking forward to it! No matter how many 5-star spas come to Toronto, Stillwater is still my go-to spot. Fantastically located in Yorkville at the intersection of Bloor and Yonge, what draws me back again and again are the skilled spa therapists who always put me at ease. I also like the relaxation lounge, which is co-ed. The change rooms have steam, dry sauna and Jacuzzis, and the coolest little spa beds to relax in. Read more about spas at spa and spa travel. Read more about my favourite places to chill in Toronto.